The words "Amalfi Coast" probably conjure up images of luxe vacationers wearing $400 sandals and sipping rosé as they sit cliffside carrying on about "la dolce vita." And you'd be partly right. This gorgeous stretch of coast in Southern Italy near Naples does attract its share of rich and famous, but it's by no means exclusive. In fact, it's more rustic, historic, and accessible -- even if it is only by boat -- than most tourists realize. 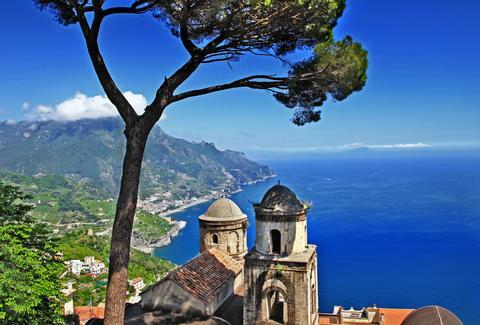 And to prove it, we asked the folks at AmalfiCoasting.org (pretty much the foremost authority on all things Amalfi) to offer up their reasons why this section of European shore should absolutely be on your vacation radar. The striking blue water of the Med is the main attraction here, so every bar, restaurant, museum, shop, whatever, will offer a spectacular view of it. Even the hikes through the hills are on the water, so if your goal in visiting Italy was to never be out of sight of the ocean -- you've found your spot. 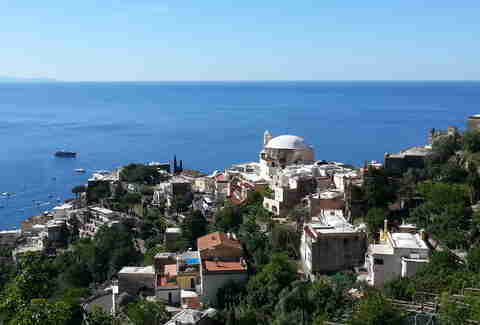 Again, even though the Amalfi Coast is accessible by water that doesn't mean it’s highly exclusive. Families come from Florence, Naples, and even as far away as Croatia to spend time on the sand; so it often feels more like a nice public beach than it does haughty St. Tropez. It also makes for an ideal day trip if you're exploring other parts of the region. 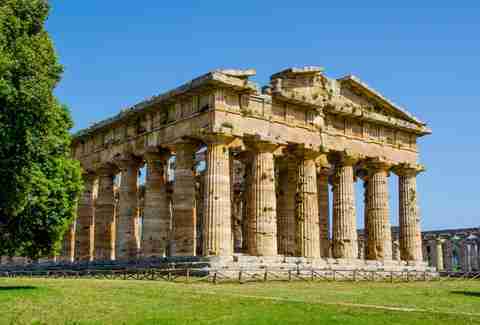 A main draw of visiting historic countries is checking out the ruins of ancient civilizations, and some of the best-preserved and least-crowded in Italy are at Paestum. The Doric temples comprise 20 structures total, the oldest being the Tempio di Nettuno which was dedicated to the god Neptune. Even more interesting, though, is the bouleuterion (derived from the Greek word "boule" for "council" and the suffix "terion" for "place for doing something"), which was home to a sort of city council. This island sits just off the coast in the Gulf of Naples and was the vacation of choice for Roman emperors. 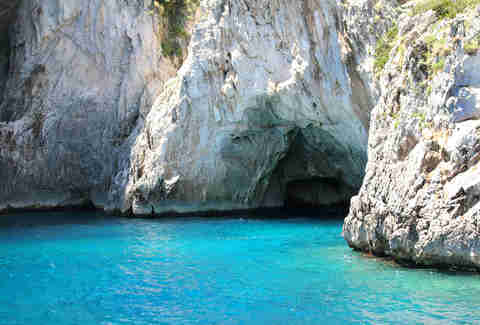 It’s most famous for the Blue Grotto, where sunshine peeks into a small cave and makes the water radiate a shade of blue not seen anywhere else in the world. But since you can’t spend a whole day in a grotto, Capri is also full of historic churches and palazzos, as well as terraced gardens with views of the Bay. You can also check out the magnificently turquoise Port of Tragara and the Faraglioni, three giant rocks that stretch as high as 300ft out of the water. It’s Italy, so we don’t really need to sell you on the pasta, the seafood, the pizza, or pretty much anything on an Amalfi menu. 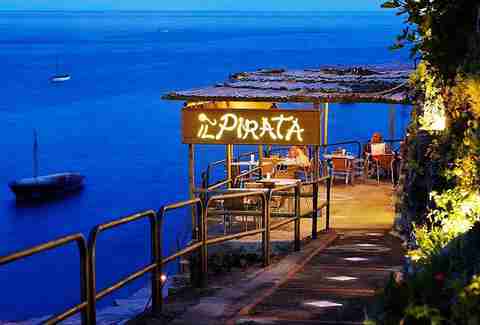 But when you sit down to eat that authentic Italian pasta, you're going to do so while soaking in some of the world's most spectacular backdrops; whether on a black sand beach at Ristorante Le Arcate in Atrani or at the helm of a galleon that's been carved into a mountainside (at Il Pirata in Praiano). You'll also enjoy the quintessential European cafe experience at the Piazza Duomo and the Amalfi’s best pizza at Pizza Duomo. Just don’t get the two confused. 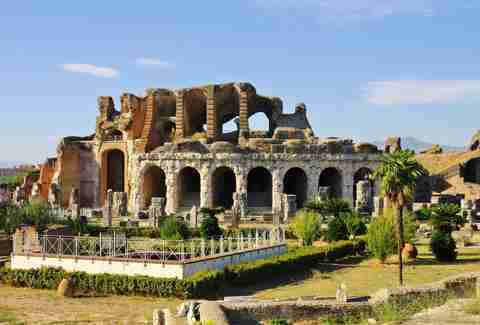 Sure, that one in Rome gets all the attention, but the second-largest ancient arena in the Roman Empire was built in 119 AD at Capua, and sat 60,000 people in its heyday. A tour walks you past the sculptures and frescos of the ancient concourses, as well as through the holding areas (and trap doors!) where gladiators and wild animals were held. It’s designed just like the one in Rome, and although parts of it have been destroyed over the years, it’s still a must-visit while on the coast. 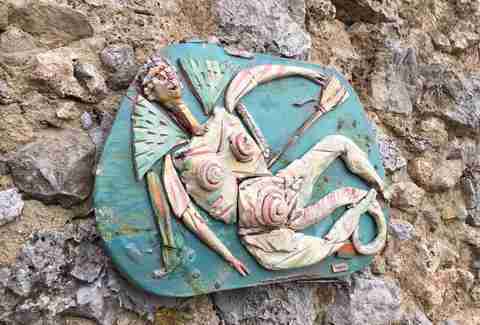 Praiano, the "fourth gem of Amalfi," took on an ambitious project a few years ago and asked artists to use the majolica tile religious shrines around town as inspiration for new public art. The result was the “NaturArte Project,” and it has turned Praiano into a sprawling outdoor museum. Along seven different walking itineraries you can see stone sculptures and ceramic works from some of Italy’s most renowned artists. Scenic if you like epic vistas, ancient ruins, and dramatic stone cliffs all along the same path. The Amalfi Coast boasts a series of trails that are perfect half-day hikes, the best of which is Sentiero degli Dei, or "Path of the Gods." 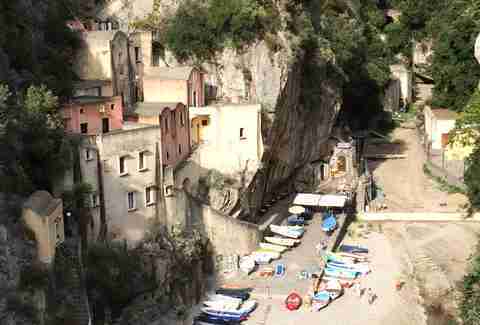 The three-hour walk takes hikers through the mountains above the water from Praiano to Positano and is highlighted by the Dominican monastery of Santa Maria a Castro, as well as through the towns of Nocelle and Montepertuso. 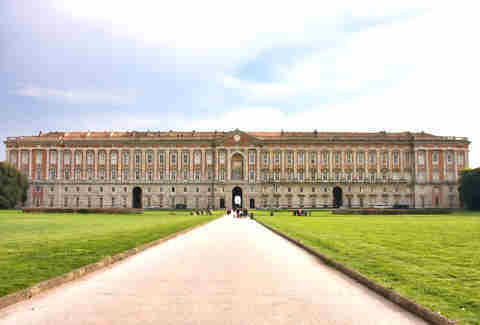 "House," being a loosely used term here, but the Reggia di Caserta -- also known as the Palace of the Bourbon Kings -- was conceived by Bourbon King Charles III and designed to rival Versailles. It served not just as the royal home, but as a seat of government, and it maintains 1,200 rooms, a full theater, four 41,000sqft inner courts (that's almost a full football field without the end zones... each! ), and 40 "monumental rooms" dedicated completely to frescos. Versailles, by comparison, has only 22. But the interior is only the beginning, as the Baroque architecture gives way to a 200-acre hunting park, highlighted by the Great Fountain where water flows down nearly 500ft over a sculpture of a bathing Diana being observed by Actaeon. If you want to hike among olive trees and golden eagles, Cilento and Vallo di Diano National Park on the Tyrrhenian coast stretches to the Apennines in Campania and Basilicata and boasts terrain ranging from mountain peaks to hidden streams to caves formed by sinkholes. The park is also home to several tiny cliffside villages that were built before the area was protected. And even though this is the second-largest national park in Italy, you can see much of it in only a day.